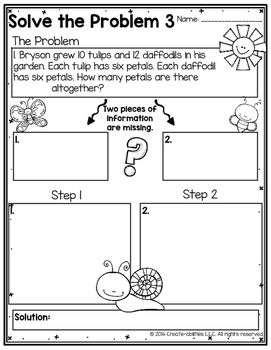 This spring-themed freebie provides your students with timely practice on a difficult skill: two-step word problems! 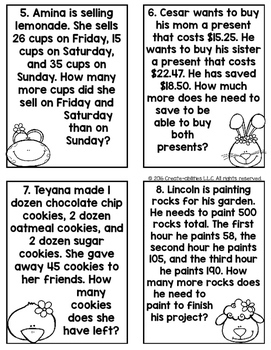 Students struggle with how to break down and understand what is required of them when trying to solve word problems. 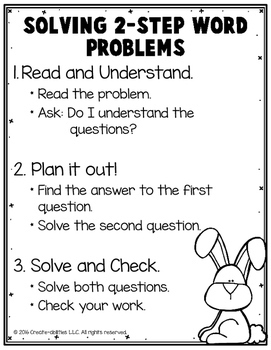 This pack helps your students walk through each step of the problem so they can clearly see what information is needed. 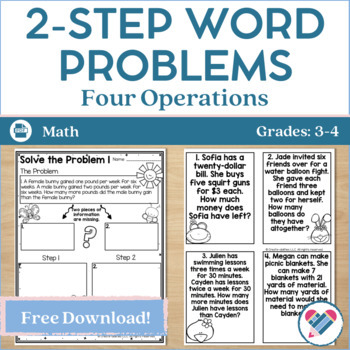 This pack covers the four operations: addition, subtraction, multiplication, and division.